PS Vita hasn’t been the most stellar of success stories. Much of this is due to a failure to utilize its impressive potential. In the technical stakes, it’s quite the I-think-I-just-wet-myself-a-little powerhouse; in handheld console terms. But what of the most crucial factor, the games themselves? The portable Uncharted that released with it was a bold effort, and showed that the big PlayStation franchises could translate quite well to the handheld. It’s just a shame that they haven’t been given the chance since. While the AAA gaming elite haven’t graced the system much, it hasn’t been without quality and impressive games. 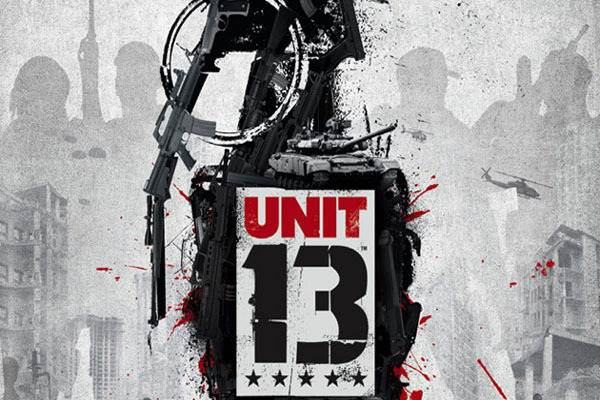 One of these was slightly-late-for-launch title Unit 13. This TPS was the last game developed by Zipper Interactive, and a system exclusive. It’s the tale of a man-tastic, studly band of special forces guys (think the helicopter drop-off scene from Predator and you’re just about there), in the fight against international threats. Well, ‘tale’ may not be the word. There’s very little in the way of plotting to be had here. All you really get is a few lines of dialogue between missions, explaining how you’re shooting right up, where you’re shooting them right up and why you’re shooting them right up. But that’s more than enough to get us into the action. The aforementioned action is very well done. 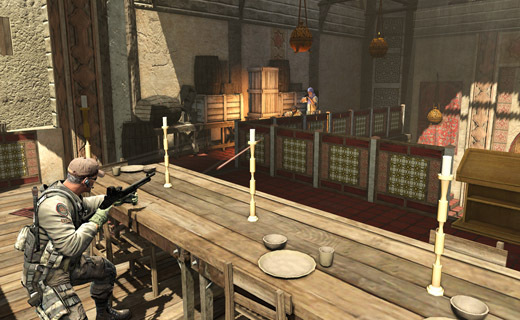 Gameplay is of the SOCOM variety, with particularly cover-heavy combat and objectives to complete. The controls feel spot on, with a few scant touchscreen shortcuts that aren’t intrusive or shoehorned in. It all looks suitably sharp too. There isn’t a huge crop of missions, but each offer different ‘styles’ which change the way you approach your objectives. The stealthy-stealth mode is much different to the blow-the-hell-out-of-everything-like-Arnold-Schwarzenegger mode (the real names of which elude me). There’s further replay value in leveling up your squad, each of which are better suited to certain styles of play. The frail sniper, the tanky dude, they’re all here. The primary appeal to Unit 13 is for high score hunters, who will find more points multiplying opportunities than they know what to do with. The game was a great showcase for the Vita’s capabilities in all kinds of ways, from a technical standpoint. Another of these was the community aspect, with scoreboards and such always displayed. If you’re a shooter fan looking for that community sense, and a real challenge, this slightly obscure title is a fine way to go.